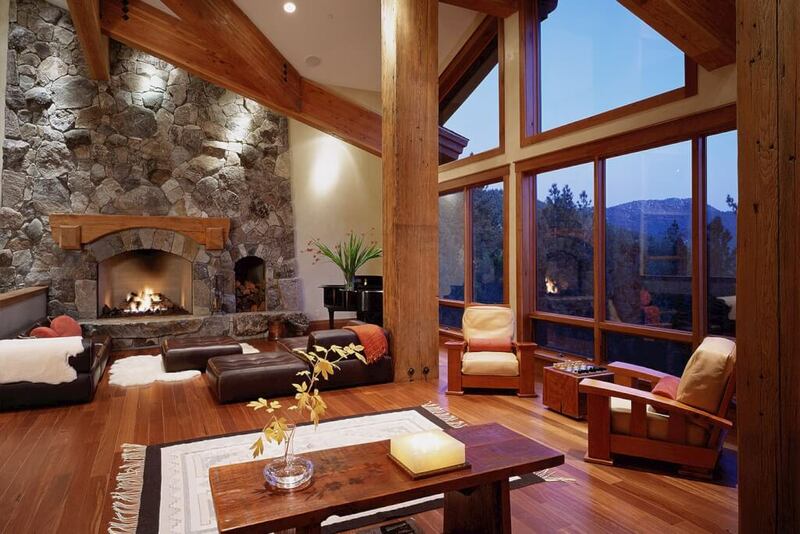 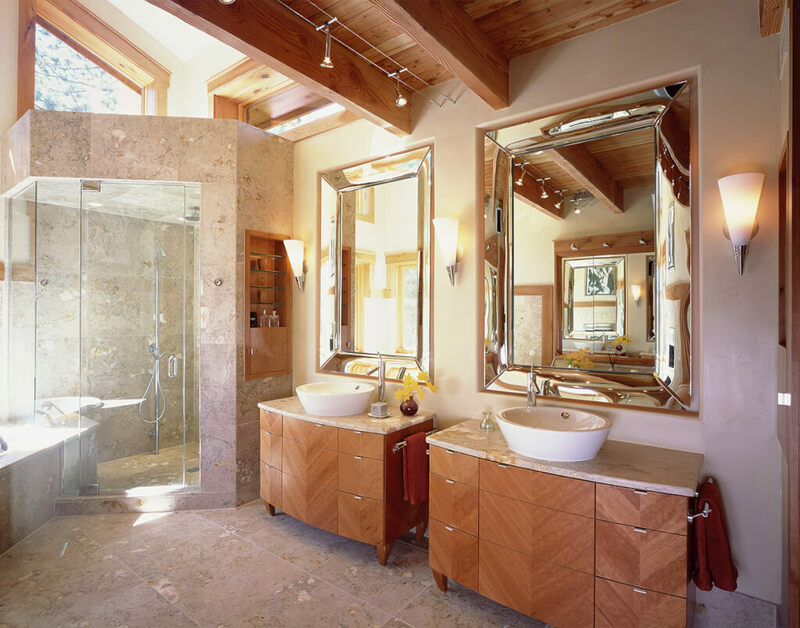 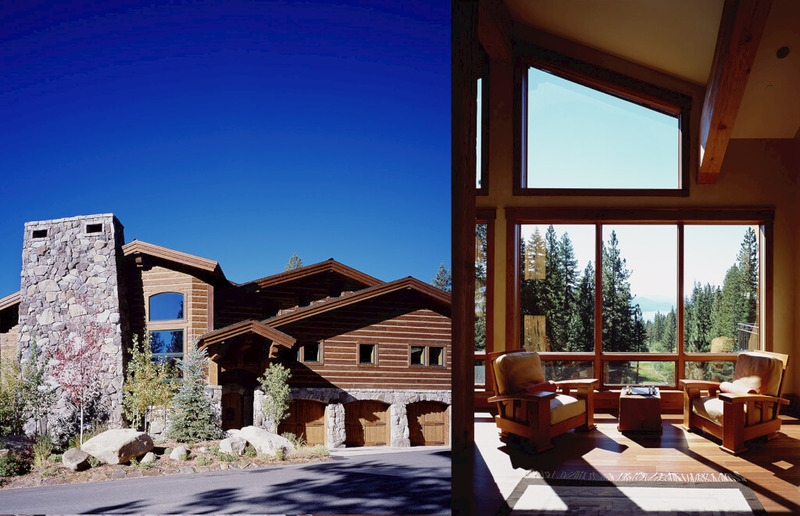 The custom residence offers dramatic views of the golf course and Lake Tahoe from each room and deck. 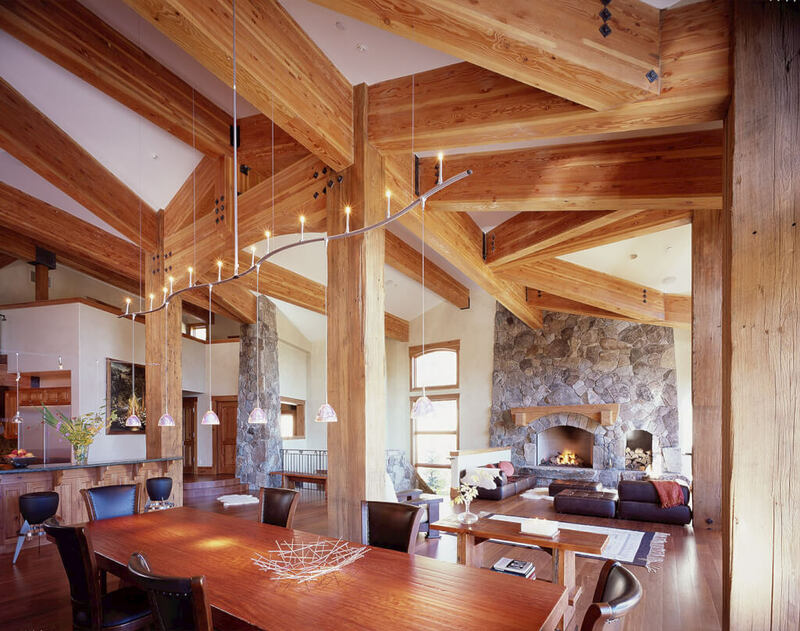 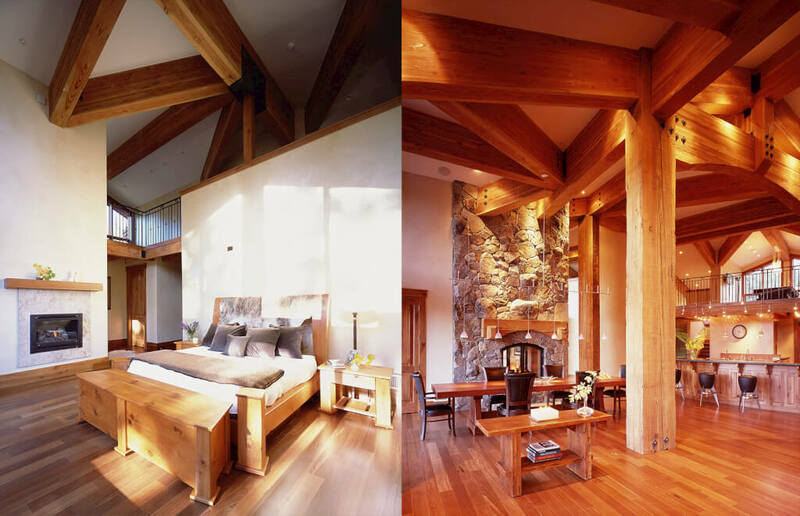 Conceived to reflect the mountain setting, reclaimed beams and columns create a magnificent open feeling in the living areas. 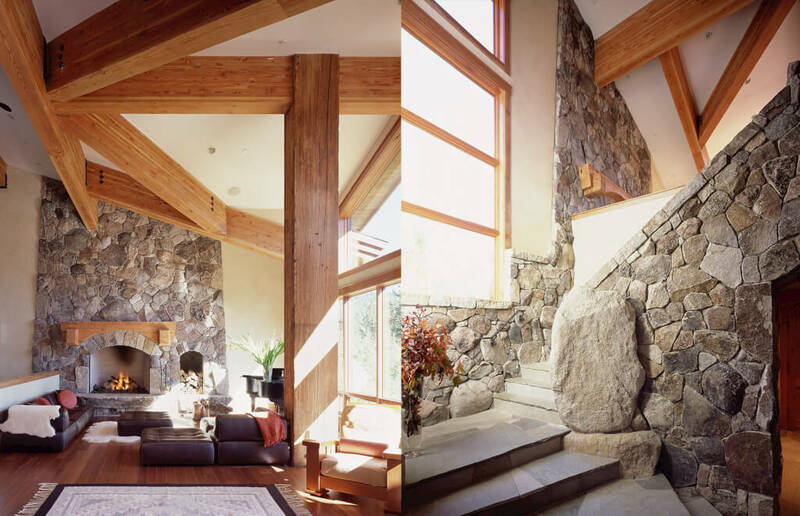 Granite boulders found on site are integrated into the grand stair, wine cellar and fire places. 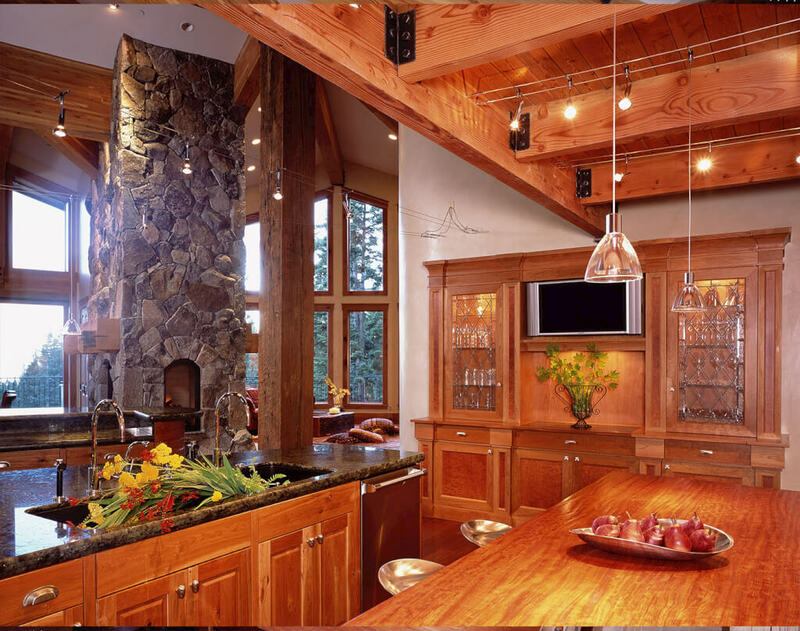 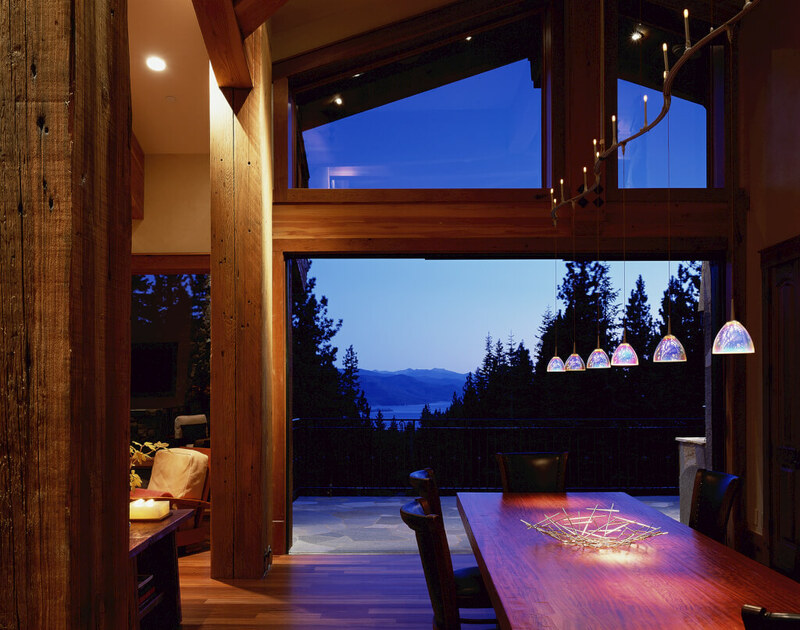 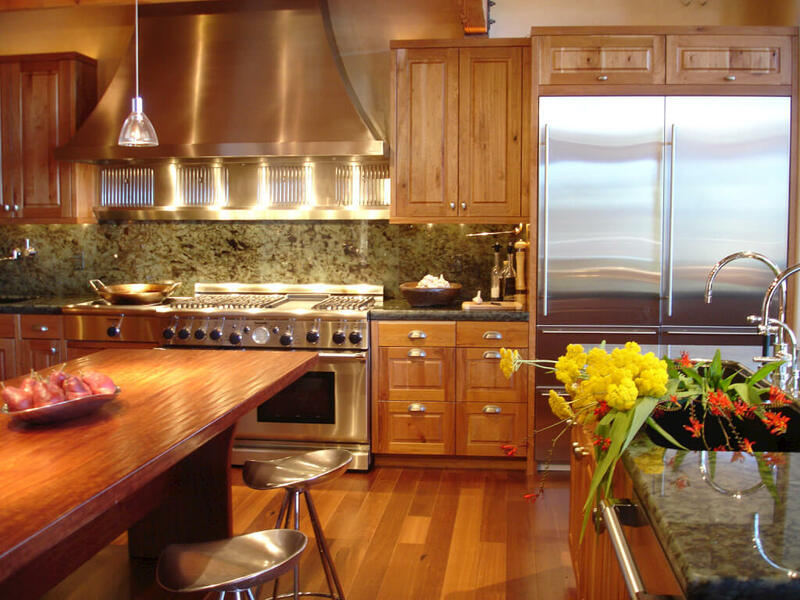 Each piece of millwork, furniture and lighting is carefully designed to create a truly unique home, worthy of its spectacular setting.